No matter what season, CHANEL imparts beautiful, inspired, fresh creations. CHANEL pieces gleam with surprising design and impeccable finishing touches. There is a plethora of CHANEL creativity without boundaries that goes into the jaw-dropping intricate designs. 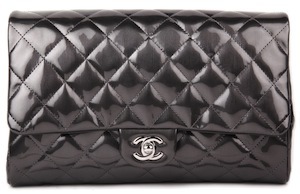 The Chanel replica online marketplace paints a totally different picture. Cheap replicas do not hold the same value of an authentic CHANEL, and may cause menacing and even dangerous situations for consumers. Governments, businesses,industry leaders, and consumers are taking action to thwart the replica and counterfeit trades. Consumers can further assist in the efforts being made, to obstruct the criminal entities from unlawful activities, by refraining from shopping at online replica stores. Replica Chanel bags and other replica items offered at online replica stores have no affiliation with CHANEL. Replicas are products manufactured by the replica and counterfeit trades illegally without authorization. Regardless of what an online replica seller may claim, there is absolutely no business connection between any low outlet priced replica online shops and CHANEL. CHANEL does not tolerate the illicit conduct of dealers in fake Chanel, and neither should anyone else. For more on replica Chanel, visit ChanelReplica.com and ReplicaChanel.com. Please feel free to shop for the latest from CHANEL at the official website of CHANEL, CHANEL.com.